Desde ingalicia os invitamos a participar a este interesante seminario 4.3 del Programa Juventud en Acción (puedes saber más sobre la Acción 4.3 pinchando AQUI) que se desarrollará en Turín (Italia) desde el 6 hasta el 10 de Noviembre. 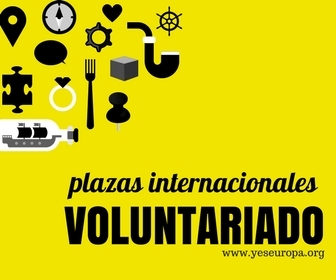 El Seminario está dirigido a personas que ya trabajan con el programa Juventud en Acción y en concreto con la Acción Servicio Voluntario Europeo, para poder compartir experiencias y buenas prácticas, crear redes de entidades de confianza para la acogida/envío de voluntarios y editar nuevas herramientas para el trabajo en red. Buscamos 2 participantes, posiblemente un chico y una chica! Pueden participar jóvenes de hasta 35 años de cualquier lugar de España. Las personas seleccionadas deberán elaborar (si aun no la tienen) una presentación de la entidad que representan. Cuota de participación: 25€ a ingresar a ingalicia solo en caso de ser seleccionado. For organizations that are working with the European Voluntary Service and would like to widen their contacts with the goal of a quality cooperation in the new Youth in Action Program. transfer of knowledge and experience: to provide knowledge about possibilities for a future cooperation between the organizations, to share the experience and best practices from running / realized projects. By bringing together representatives of Sending and Hosting Organizations from different European countries the seminar aims at identify a shared version of the Activity Agreement and define a quality commitment to build a network of partnership to start to work with the new program in the best way! This seminar will go deeper into subjects that are closely linked to EVS, such as: tutorship competences, communication between partners, reliability of each organisation, relation between tutor – mentor – volunteer and sending organisation, roles and responsabilities of each one within the new Programme rules. The participants will be actively involved in every activity of the seminar, they will have the possibility to get to know each other, the projects, to make contacts / partnerships, to exchange ideas, experiences, practices through conversations, presentations, workshops. Youth workers that are actively / directly involved in the activities of the EVS host / sending organizations. The participants should have some experience in EVS and be able to speak English. We’ll host one or two representative from 11 organizations coming from 9 different countries. There will be an intercultural evening, so we ask you to bring some typical food or drinks form your place, some music and other things that you think that can be interesting. We will have a presentation of all your organizations so we ask you to bring all kind of materials and information that you think can be useful for that. The arrival day is the 6th of November in the morning and the date of departure it will be the 10th of November in the afternoon. The Seminar will start in the first afternoon of the 6th of November and it will finish the 10th of November after lunch so it will be not possible to arrive after the 6th or leave before the 10th of November. You could arrive on the 5th of November or leave on the 11th only if you show that the flight connections we’ll be cheaper and the timetable will be better than the 6th or the 10th, keep in mind that our NA doesn’t reimburse travel costs with other dates! To join the seminar you can flight to Torino airport or to Milano airports, I will send you soon an email with all the information about how to arrive to Torino from each Milan airport (Malpensa, Linate or Bergamo Orio el Serio), BUT PLEASE DON’T BUY ANY TICKET BEFORE OUR APPROVAL OF THE FLIGHT OPTION YOU FOUND OK?